To meet specific industrial need of our clients, we manufacture and export a range of high quality Air Washer (Evaporative Cooling Unit) or Industrial Cooling Systems. Simply used for cleaning and cooling the warm and moist air that enters into these systems to a level where it meets dew point when come in contact with refrigerated water. These units help in minimizing the moisture content of air and making them fresh from its actual content. The spray or liquid bath in these washers helps in decreasing the soluble impurities and particles. 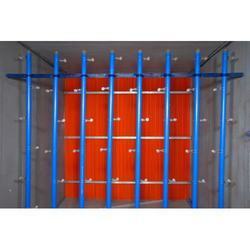 Engineered with precision these products are fabricated using steel of superior quality that is galvanized. 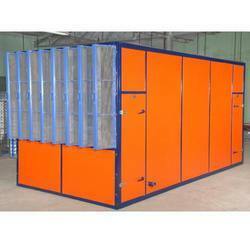 We are offering a wide range of air washer internal, which are largely used in various organizations and industries. These air washer internals are widely demanded all across the country owing to their high end features such as corrosion resistance, long service life and low maintenance. We hold expertise in providing Prefabricated Air Washer, which are available in a capacity ranging from 25000cm to 85000cm. These washers are provided with special spray nozzles that are made using abs material with stainless steel orifice. Our range of Prefabricated Air Washer is highly efficient and is available with clamps for easy maintenance and long life. These washers are provided with special spray nozzles that are made using abs . Our range of Prefabricated Air Washer is highly efficient and is available with clamps for easy maintenance and long life.